There is a fair chance that North American Free Trade Agreement negotiations can wrap up by the end of the year, Mexico’s Ambassador to the U.S., Geronimo Gutierrez, said July 17. Gutierrez, who spoke at Politico Pro’s annual summit, said the recent election of Andres Manuel Lopez Obrador as Mexico’s new president might make it easier to reach a deal. Lopez Obrador has said he would like to see a NAFTA deal wrapped up this year, Gutierrez said. NAFTA renegotiation talks slowed down after an all-out push to try to reach a preliminary agreement in May. Gutierrez said it would be a matter of “weeks, not months,” before the next high-level ministerial meeting. Dec. 1 is also the date for Lopez Obrador’s inauguration. NAFTA talks have also been complicated by U.S. actions on tariffs. 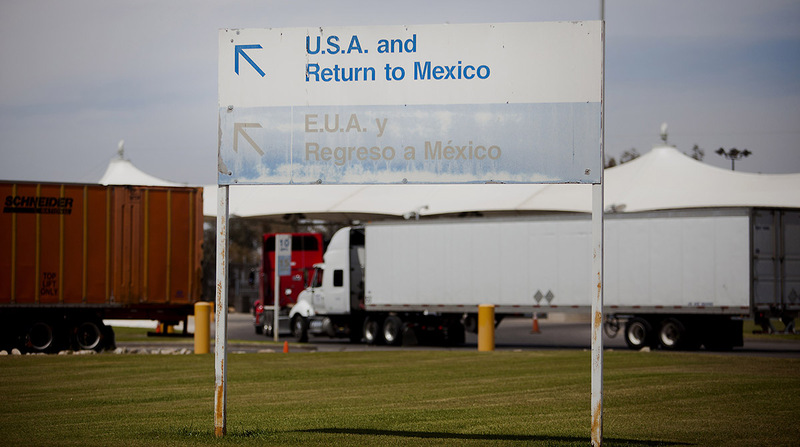 The U.S. slapped tariffs on steel and aluminum from Mexico and Canada as well as other countries, citing national security concerns. Mexico and Canada both struck back by hitting billions of U.S. goods with tariffs. The U.S. is threatening additional tariffs on auto and auto parts. Both Gutierrez and Hillman declined to say whether their respective countries would retaliate if the U.S. imposed tariffs on autos and auto parts. But such tariffs “would be a thing of the past” if the sides achieve success on NAFTA, Gutierrez said. Mexico remains optimistic that “we’ll find common ground to move forward on NAFTA,” he added. For Canada, the Commerce Department’s national security investigation on auto imports has had a significant impact. Hillman said it’s too early in the probe to make any pronouncements about retaliatory tariffs. As a key NATO ally of the U.S., the national security aspect of the tariffs is “incomprehensible” to Canada, she said. Canada would be “very pleased” to remove its retaliatory tariffs as soon as the U.S. removes its tariffs, she said. Mexico is determined to try to keep NAFTA and see it modernized, according to Gutierrez. “We’re in better shape in trying to get this done.” However, he took issue with Trump’s notion that the U.S. trade deficit is the proper way to measure NAFTA’s success. “If we are going to address the deficit, let’s do it by expanding trade instead of reducing it,” Gutierrez said. Canada wants NAFTA rules of origin that reflect the current state of the economy and of supply chains and that would provide a proper platform for the future, Hillman said. Rules of origin determine what products get NAFTA duty-free preferences. Auto rules of origin have been a stumbling block in the negotiations. The current U.S. proposal to eliminate supply management in dairy isn’t acceptable, Hillman said, restating Canada’s position. Canada’s dairy supply management is a system of tariffs, quotas, and price and production controls.